Take a trip back to the height of psychedelic sounds with the Soul Shiver's three classic-sounding modes. 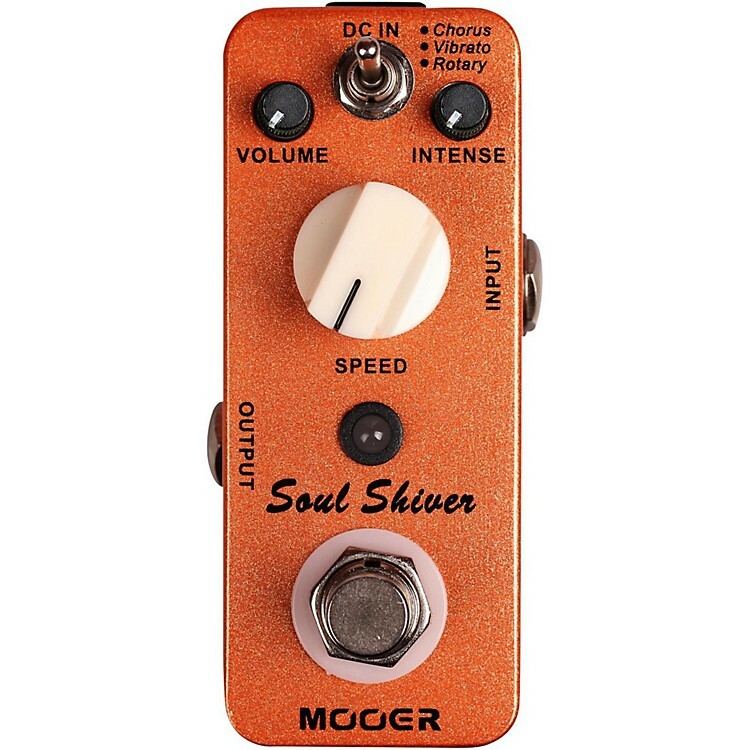 The Mooer Soul Shiver delivers three classic '60s sounds: Chorus, Vibrato, and Rotary Speaker. Get ready for an all-out, retro psychedelic trip. Vibrato: Vintage '60s vibrato sound with a wide-range vibrato. Rotary: Simulates the cabinet around you, bringing forth a fantastic rotary effect.